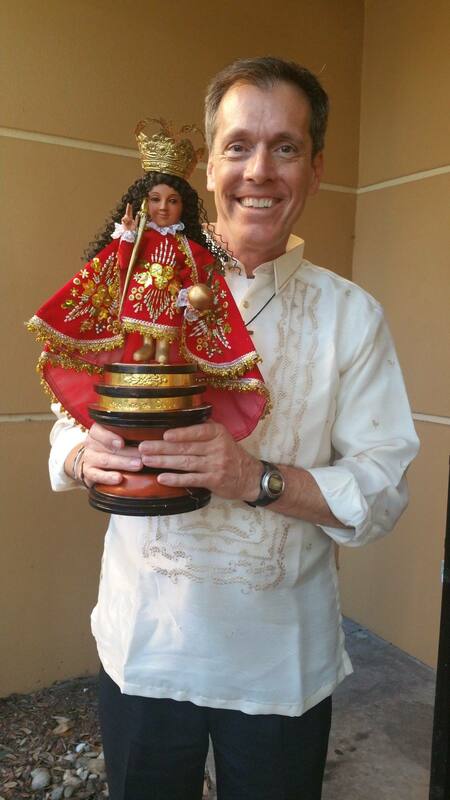 We invite you to be part of the Santo Niño Devotion here at St. Paul! Every third Sunday in January fellow Christians will come from all over the world to join us in honoring the Holy Child. The Feast Celebration Mass this year will be at 4:30 pm on Sunday, January 20, 2019, followed by a Sinulog in the Family Center. Please note that there is additional parking in both the Cascades plaza and in the Medical Center across Stall Road. Come, pray, and envision the love of God when you visit the Santo Niño Shrine. In 2010, St. Paul's became the home to the Santo Niño Shrine and prayer space located beside the Church. Every third Sunday in January, St. Paul Catholic Church celebrates the devotion to the Sto. Niño of Cebu of Philippines together as a community during the 4:30 pm Mass. This is a great celebration and you are invited to be part of the experience starting with our Sto. Niño Novena and Mass every evening at St. Paul Family Center starting on Friday, January 11 at 7 pm. The candlelight procession will take place on the last novena day on Saturday, January 19 at 7 pm and culminate with the celebration of the Holy Mass and fiesta on Sunday, January 20, 2019, at 4:30 pm. The Mass will be followed by a procession to our Family Center where Sinulog, dances, food, and fellowship will honor the Holy Child Jesus!